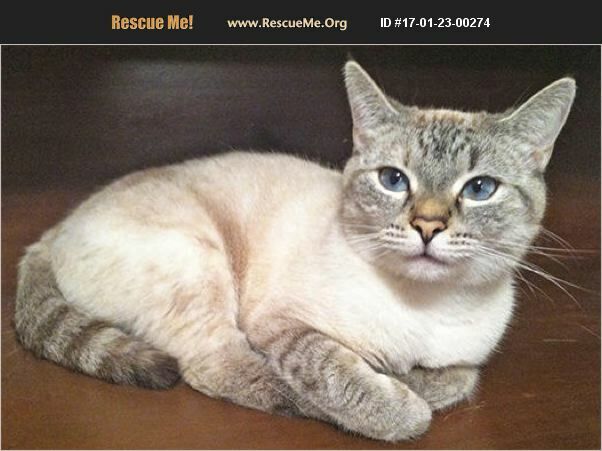 (Siamese Lynx Point mix) Need some spice in your life? Chai is just the little lady to provide it. She's packed with energy, highly intelligent, and somewhat opinionated. Well, she's very opinionated but unlike most Siamese, she's not particularly vocal about it. She's a socialite, eagerly greeting human guests while strictly observing the proprieties: limit that early interaction to head and neck scratches, please. Once she knows you well, she MAY sit in your lap or by your side, or allow a full-body massage, but at the time and place of her choosing. She draws the line at anything she considers physical restraint (a line young children are unlikely to observe). She coexists with a houseful of other cats, at times peacefully, at times playfully, and at times ready to be done with them all. Perhaps one other feline companion, rather than a houseful would be more to her taste. We're not sure how she feels about dogs. This lovely cat has become a source of joy and amazement in her foster home. Her personality is complex and best suited to a home with cat-savvy adults willing to let Chai be Chai. One other note: She loves to spend time watching wildlife from her foster's screened porch so much that she tries to open the door by leaping up to grab the handle. No success so far, but the smart money's on Chai.